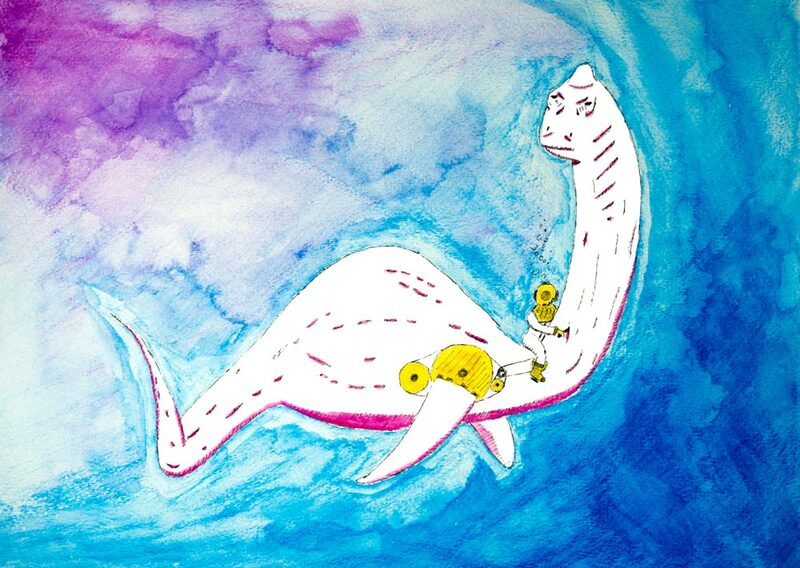 The first of a series of mythical sea creature paintings, the Lochness Bicycle. An original is available. Please contact WFL to purchase.